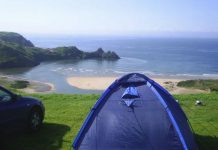 When camping in the winter you may often end up in places that aren’t sheltered, so having a tent is essential. 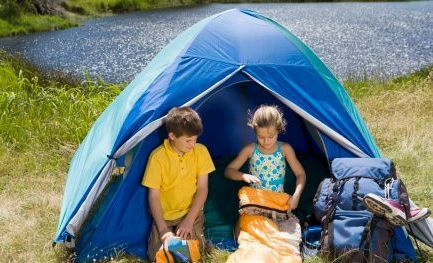 There are many types of tents available and it’s important you have the right type with you. There are several things to consider when looking for a winter tent. It needs to be strong so it can stand up to both snow and wind. 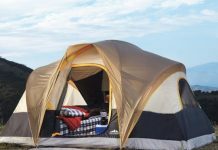 A four-season tent is a good idea as they come with stronger poles, which make the tent sturdier. The tent should be able to shed snow. This means the roof is built in a way that will cause the snow to fall off of it. If it doesn’t, the snow can build-up and collapse the tent. Make sure there’s plenty of room in the tent to store all of your winter clothing and gear. You need to store this in the tent in the event you get snowed in and you will also need the space. The tent should have a rainfly. If the inner tent wall is breathable and the outside of it has a waterproof rainfly it should help cut down on condensation and supply better insulation. You want the tent to be about 10 to 20 degrees Fahrenheit warmer than it is outside. Your body heat will help in this area too. Free-standing dome shaped tents are good as they can effectively shed the snow and have quite a bit of room in them. 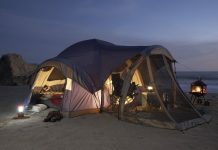 However, check to see if the tent is designed for all seasons as some dome tents are designed for use in three seasons only as they aren’t made to take the weight of snow. There can be a lot of condensation build-up in a tent in the winter. This typically comes from your breath. The air will rise and when it hits the inside tent wall, the moisture often condenses into small ice particles. If you hang a frost liner in the tent it should let the moisture pass through it and provide an effective layer between the ice particles and you. 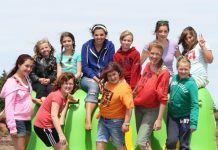 It’s a good idea to take extra poles and splints with you in case any of them breaks. 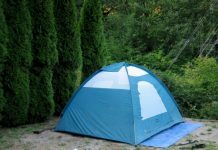 A ground sheet should be used to help protect the floor of the tent and the tent should be staked down in the wind and if you leave it to go hiking. Make sure you remove all of the snow from your boots and clothing when you go to sleep as it will help to cut down on water build-up and condensation, keeping everything drier. The snow could also melt from your body heat and then freeze as ice. 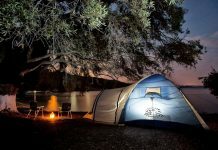 Make sure you don’t cook inside your tent as you could asphyxiate from the carbon monoxide and end up with a lot of condensation from water vapor.